Q: : What is the best way to get links from websites that have high page ranks? Q: Can you obtain links from any website even if the website has nothing to do with your type of business? As for Question #1, the best way to get links – any type of links – is to make it win/win. Give the website owner an incentive to link to you. This can be as simple as requiring a supplier to link to you (link to me, or we won’t do business together), or a monetary compensation in terms of a non-profit (link to us in exchange for us sponsoring your charity), or ego-bait (wow! I wrote this great article about how wonderful your product is… share it as a third-party endorsement). The trick to effective link-building is to realize that a link is sort of like “money,” you are asking them to do something for you, so you need to have something to give them in exchange. No simple answer other than appeal to their self-interest rather than just begging for links (that doesn’t work). As for Question #2… I always teach that any legitimate link is valuable. By that, I mean outside of really low quality directory links, or low quality blogs… any link is valuable. So if Grandma has a blog on knitting and your website is on industrial fans… having Grandma’s blog contain a link to you IS good. It is NOT as good as a contextually relevant blog link, but it is still good. I have done many experiments and it is clear that, despite what Google says and despite post-Penguin, it isn’t as smart about links as they claim. Links from “real” blogs, “real” websites are definitely good. 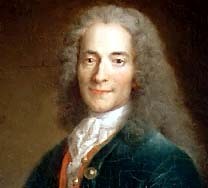 “The perfect is the enemy of the good” (Voltaire).